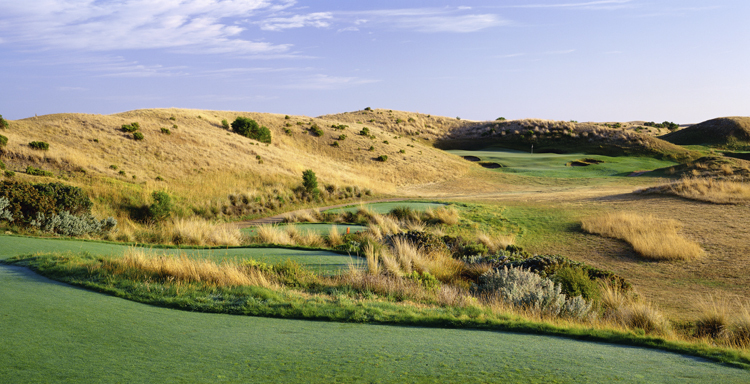 A tour of Australia's finest golf courses. Australian golf courses may not be as famous as those of Scotland, Ireland or America. Nor, perhaps, do they conjure up such obvious images in the imagination. All golfers, for example, can picture a classic Scottish links course – St Andrews, Troon, Muirfield – in their mind’s eye, but perhaps an American might struggle to imagine what Royal Melbourne looks like. But golf courses in Australia do have a distinctive character, and many of them are magnificent. The aforementioned Royal Melbourne regularly features prominently in lists of the 10 best courses in the world, but it is only the most famous example of the Australian style of course, and, some might argue, not even the best. Concocting a list of the best Aussie courses is fraught with difficulties, and any attempt is bound to be subjective and even controversial. Below are five very interesting, exciting courses. They fit in with some of the chief characteristics of Australian golf: beautiful scenery, lightning-fast fairways and greens, a fair dose of the elements, an often “linksy” feel (the sea is never far away), coupled with perhaps a little of the manicured look Americans are used to. All of these five courses are challenging and great fun. Enjoy! New South Wales, La Perouse, Sydney, NSW. Designed by Alister Mackenzie (who also designed Augusta and Royal Melbourne, amongst countless others) this course is certainly the most beautiful in Sydney, and perhaps in all of Australia. It is at the fifth that the golfer has his breath removed: a blind tee shot takes one over the crest of a hill, and then one is looking down at a faraway green on the edge of the Pacific, with glorious cliffs and, off to the right, huge tankers pulling in and out of the entrance to Botany Bay. The sixth is then a short hole over the raging surf. It is a great experience, and even the difficulty of the course (those greens! that wind!) only adds to it. Barnbougle Dunes, Bridport, Northern Tasmania. This new course was designed by Tom Doak, also responsible for the amazing Cape Kidnappers in Hawke’s Bay, New Zealand. The course curls along a beautiful coastline of pristine beaches and rugged ocean, the wind whistling in off the Bass Strait to keep you honest. The rough is punishing and home to a few tiger snakes, so make use of the special local rule, which allows for a drop at point-of-entry and a one shot penalty! Tasmania is always beautiful and this course is a gem. The Dunes, Rye, Mornington Peninsula, Victoria. The Dunes is a public course like Barnbougle and, as the name implies, has a very linksy feel, although you cannot actually see the sea. In fact, it has much in common with Barnbougle and, indeed, New South Wales: the wind is a big factor, the greens are glassy, the rough and the bunkers always cost at least a stroke, and it is great fun to play. There are many other excellent courses on the Mornington Peninsula, and a fair few wineries too. Mackenzie did the bunkering on this fantastic example of a Melbourne “sand belt” course. The club boasts a lovely white colonial clubhouse, and the course is long, beautifully laid-out and subtle. There are so many great courses in the famous sand belt – perhaps half an hour’s drive from the city centre – but this one is my personal favourite. If you have time, also try Royal Melbourne and Metropolitan. Narooma Golf Club, Narooma, near Bateman’s Bay, South Coast of NSW. Narooma is something of a challenge to get to, but if you fancy a road trip from Sydney to Melbourne, or have a bit of spare time whilst in Canberra, then why not try this quintessential Aussie course? As you drive your ball across the ocean and over cliffs, peer down into gaping caves, and look at towering headlands jutting into the Pacific Ocean, you might consider that there are few better places for a golf course. And you’d probably be right.